Everybody’s Coffe is all about showcasing art and that includes a good concert. We have hosted touring musicians and supported local acts too. You can listen to Celtic, blues, folk, indie, and much more at Everybody’s. 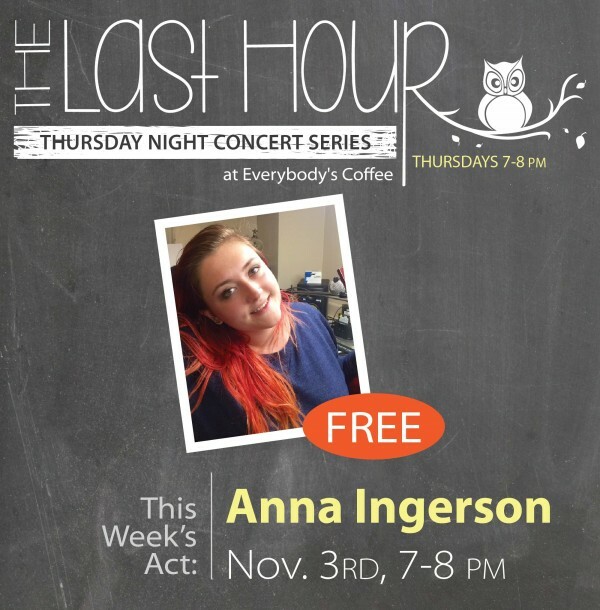 Join us as Anna Ingerson, local indie folk musician, takes the stage for our Last Hour concert. 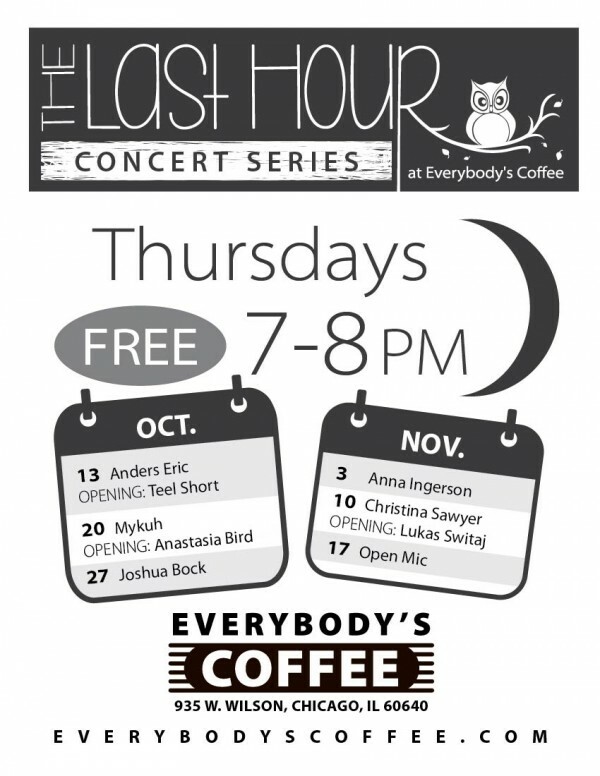 Anna has opened for Lewis Knudsen at Uncommon Ground and is a regular at Everybody's Coffee. 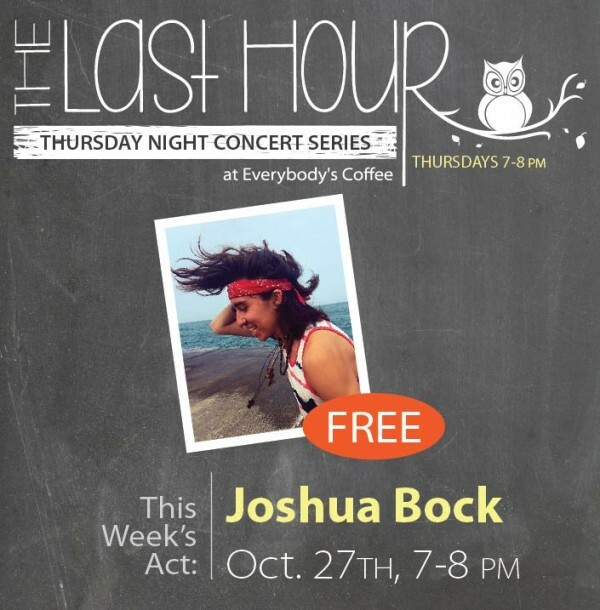 Our friend Joshua Bock will be playing some songs for us at 7! Join us for this free show and #supportlocalmusicians. 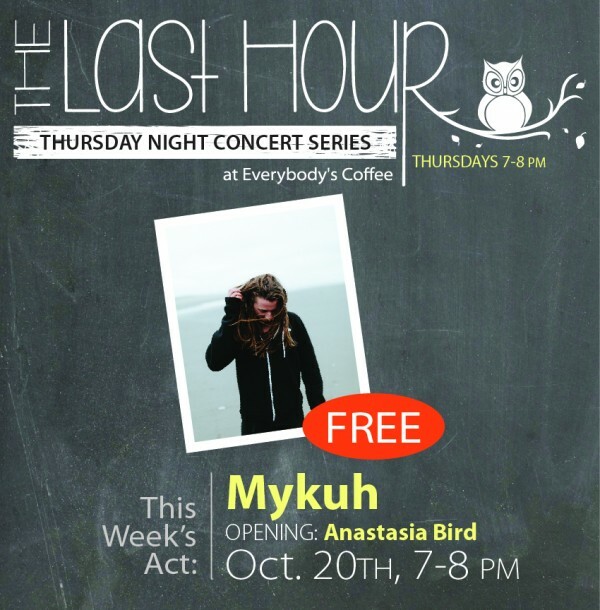 Free show this Thursday night at 7:00 with Mykuh & Anastasia Bird! The last few years we have hosted The Last Hour free concert series in the fall. It's that time of year again! Kicking it off with Monica Laytham and Inga Bialach!